We are plotting and scheming for our last home bout of the season! RCR puts on a Halloween bout every season and it’s always a great night. 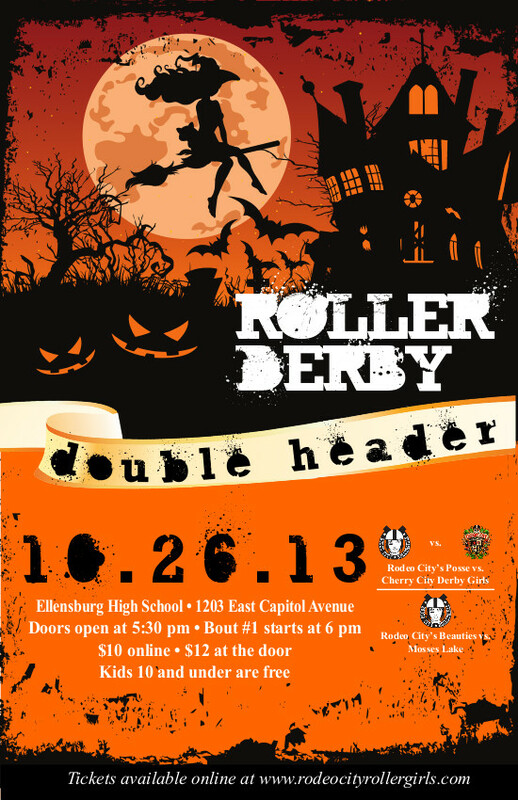 We invite you to get into costume and come out to watch some exciting roller derby action! There will be prizes for best costumes, candy, and some fun surprises! We really appreciate our fans so we are going to have some special treats for you!!! We hope you will come join us for some hauntingly good fun! The Posse will be taking on the Cherry City Derby Girls from Salem, OR. We have never played these ladies before and are looking forward to the challenge! Our Beauties will be playing against a new league, Columbia Basin Roller Derby! We love that roller derby keeps on growing!